Why Multi-Photon? 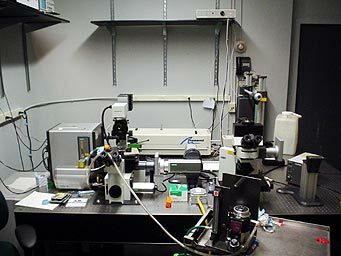 Example of cell culture time lapse. BioRad file format and how to import into other software. 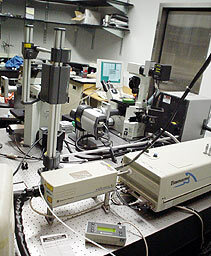 System in late 2003 before full environmental chamber added and room renovations. 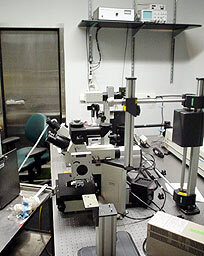 Intravital Imaging with CFP, GFP and second harmonic generation.